Judy, the owner of J. K. Johnson Funeral Home, P. A., is a lifelong resident of the Washington, DC area and is a licensed funeral director/mortician in Maryland, Virginia and the District of Columbia. Prior to her full time commitment to the funeral service industry in 2000, Ms. Johnson spent twenty years employed in corporate America. She graduated with a Bachelors of Science degree in marketing from the University of Maryland, College Park, and completed her Masters of Art in Management Information Systems from the University of Baltimore. Her Associates of Arts degree in Mortuary Science was obtained from the University of the District of Columbia. She was initially introduced to the funeral business when her parents, Samuel and Ernestine Johnson purchased Lewis Funeral Home in Alexandria, VA, where she started her career. Over the years, she has worked with and learned from many experienced and seasoned funeral service professionals. She is a member of New Hope Baptist Church of Prince Georges County, a member of Alpha Kappa Alpha Sorority, Inc., and Vice President of the Board of Directors for the William Powell Thomas Family. Ernestine retired from the Metropolitan Police Department in Washington, D.C, after 23 years as a law enforcement officer. She was assigned to the Woman's Bureau, the Youth Division, Planning & Development and the Community Relations Division. She was a member of the Family Unit Branch that assisted officer's families killed in the line of duty. After retirement, Ernestine returned to work for the Federal Government. She was assigned to a variety of special investigations which included the U. S, House of Representative Select Committee on Assassinations and the Committee on Standards of Official Conduct. She was later assigned to the Medicare Fraud Unit of the Inspector General's Office of the Health and Human Service Department. Ernestine received her Bachelors of Arts degree in sociology from Virginia State University, Petersburg, Virginia, her Masters of Science degree in the Administration of Justice from the American University and a Masters in Arts in Legal Studies from the Antioch University, School of Law. She attended the University of the District of Columbia Mortuary Science program. 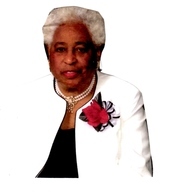 Ernestine is a member of the Mount Sinai Baptist Church, where she served on the Trustee Board for over twenty years. She is also a board member of the Executive Council of the Fishing School. Trained at the University of Maryland Community Extension Program she was a volunteer providing financial counseling to residents of Prince Georges County. More than 50 years of experience dealing with people of all walks of life and her sensitivity toward others is truly an asset to the funeral home business.